For the past couple of weeks (see here and here) we've been following an unusually large outbreak of bloodstream Elizabethkingia infection among (mostly elderly) patients in Southern Wisconsin. As of yesterday's update, since November 1st, 2015 Wisconsin had reported 54 cases of Elizabethkingia anophelis. Normally, a state the size of Wisconsin might only expect to see 1 or 2 cases a year. 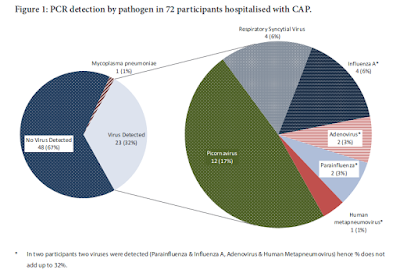 Most cases in the literature have involved HAI's (Hospital Acquired Infections), and community outbreaks are rare. To date, despite intensive state and CDC epidemiological investigations, no source or common exposure for these infections has been found. Today the State of Michigan has announced that they too have discovered a recent, (fatal) Elizabethkingia infection, in a patient from the Western part of the state. LANSING, Mich. – The Michigan Department of Health and Human Services (MDHHS) has confirmed that a blood culture isolate from a Michigan resident matches an ongoing outbreak in Wisconsin. MDHHS was notified by the Centers for Disease Control and Prevention (CDC) of the match on Friday, March 11. The Wisconsin outbreak consists of bloodstream infections caused by a bacteria called Elizabethkingia anophelis. The Michigan case resulted in the death of an older adult with underlying health conditions in West Michigan. Elizabethkingia is a genus of bacteria commonly found in the environment and has been detected in soil, river water and reservoirs. However, it rarely makes people sick. Illness associated with Elizabethkingia typically affects people with compromised immune systems or serious underlying health conditions. Most outbreaks associated with Elizabethkingia are healthcare-associated. There are few reports of community-acquired infections. 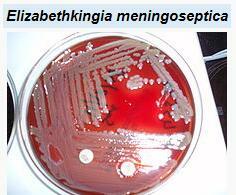 Elizabethkingia infections are often difficult to treat with antibiotics. These bacteria tend to be resistant to many of the antibiotics physicians may use to treat infections, so early recognition of the bacteria is critical to ensure patients receive appropriate treatment. The signs and symptoms of illness that can result from exposure to the bacteria can include fever, shortness of breath, chills or cellulitis. Confirmation of the illness requires a laboratory test. To date, the Wisconsin Division of Public Health has detected 54 cases of Elizabethkingia infection among patients located in southeastern and southern Wisconsin. The majority of these individuals are over the age of 65 years, and all have had serious underlying health conditions. Seventeen of the patients have died, but it has not yet been determined whether the deaths were caused by the bacterial infection, the patients’ underlying health conditions, or both. After the call for cases from Wisconsin, the MDHHS sent a Health Alert to providers on February 8, which asked providers and laboratories to review records for Elizabethkingia specimens identified since January 1, 2014. On February 29, the MDHHS Bureau of Laboratories identified Elizabethkingia in a recently submitted blood sample. That isolate was then forwarded to CDC for additional testing. The MDHHS is facilitating medical record reviews and interviews. The MDHHS will continue to work with the Wisconsin Division of Public Health and the CDC to identify the source of the bacteria. Providers and laboratories should continue to immediately report the isolation of Elizabethkingia to the MDHHS by calling 517-335-8165, and retain available isolates for confirmatory testing by MDHHS BOL and CDC. For case counts and more information about the Wisconsin outbreak, visit https://www.dhs.wisconsin.gov/disease/elizabethkingia.htm.